Many of the visitors that come to town, whether for business or pleasure, enjoy the hospitality of local residents from whom they can learn about the best places to eat, see and do while here. Buffalo Ambassadors have the option to volunteer at conventions, amateur sporting events and in our visitor center, where they not only meet and greet guests, but also help to create a lasting impression of a genuine city full of warmth, friendly people and cultural diversity. 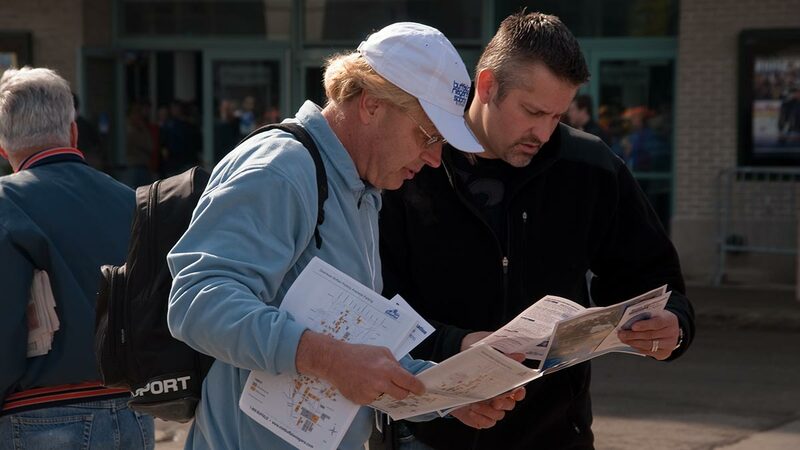 Join the Buffalo Herd, our on-the-street-team providing assistance with parking, directions and other “ask me” questions from those not familiar with the area. If you are interested in giving a few hours of your time volunteering for Visit Buffalo Niagara and/or the Buffalo Niagara Sports Commission, search below at our list of events. After you have set up an account, you’ll have the ability to select those which fit your schedule and meet your interest. Once you’ve been added to our Buffalo Ambassador list, you’ll be contacted to set up training, receive your handbook, volunteer shirt, name tag and invitation to lots of fun activities we offer throughout the year. Welcome aboard!